This week’s podcast includes a conversation about Honor Flight, and Ohio Department of Education’s Summer Food Service Program. 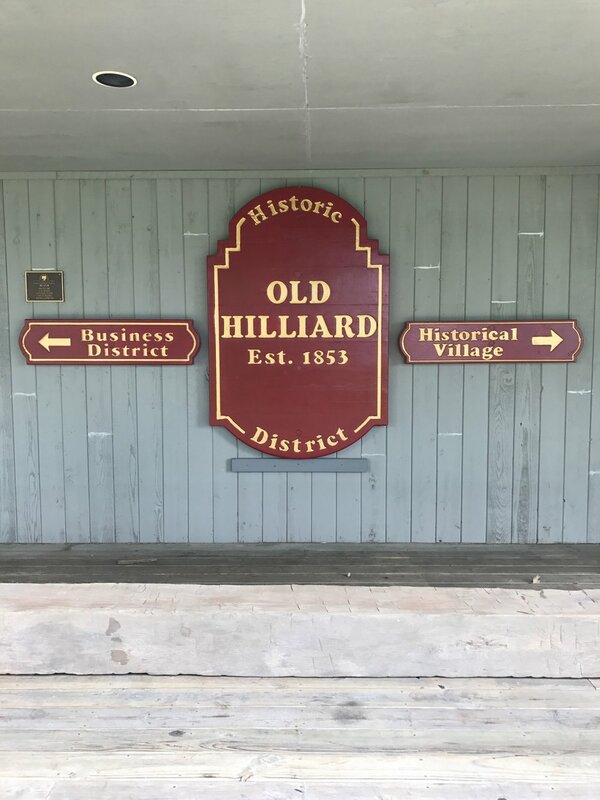 We chat about what we did this week, including the Columbus Ohio Podcasters Meet up, Hayden Falls Park, Starliner Diner, and Hilliard Ohio Historical Village. All this, including your Columbus itinerary, and more! This is Memorial Day weekend, and Burke and I start the podcast discussing the difference between Armed Forces Day, Memorial Day, and Veterans Day. This image from American Gold Star Mothers, Inc. provides a visual reminder. NPR's All Things Considered had a thought provoking article Don't Say 'Thank You For Your Service' This Monday. Sometimes, we do not know the right words to say to many people, including veterans, and instead of empty platitudes, this article provides a new insight to meaningful words to say. HONOR FLIGHT is a heartwarming documentary about four living World War II veterans and a Midwestern community coming together to give them the trip of a lifetime. Volunteers race against the clock to ﬂy thousands of WWII veterans to Washington, DC, to see the memorial constructed for them in 2005, nearly sixty years after the war. To transport America's Veterans to Washington, DC to visit those memorials dedicated to honor the service and sacrifices of themselves and their friends. Honor Flight Network is a non-profit organization created solely to honor America's veterans for all their sacrifices. There are many ways we all can contribute our time and money to help Honor Flight Columbus honor veterans with a flight to Washington D.C. Check out their website for these opportunities, including adding their organization to your Kroger Plus Card. Kroger Community Rewards Program Provides Money to Honor Flight Columbus. Summer months can be challenging for families who are food insecure. Ohio Department of Education has a map to help identify locations of Ohio's Summer Food Service Program. Locations are throughout the state, with more being added. This is a way children ages 1-18 can receive free meals...and those with IEPs ages 19-21, as well. We have lived in our current home for seven years. During those seven years, we have probably driven past this sign 5,287 times. You would think we would know to act like tourists in our own town before now! Sunday we discovered it can feel a little bit like Hocking Hills just three miles away from home! So, take a look at the images below for Hayden Falls Park! From the park, we headed to Hilliard Ohio for breakfast at Starliner Diner! We had not yet been to their new location on Main Street, and to tell you the truth, it has the same feel as their original location. Art, tables, just everything feels the same. And the Cuban French Toast with Fruit is wonderfully the same, as well! Have you ever had that moment when you take a bite of food and think, "This is the best bite of perfection I have ever had?" That is exactly what I think when I eat the Cuban French Toast at Starliner Diner! Also, Burke ordered a Breakfast Quesadilla which was tasty and savory! Take a look at this. Hilliard Historical Society has a Historical Village. The sign caught our attention as we were leaving Hilliard after eating at Starliner Diner, and we continued our adventurous day. It appears they will have guided tours this summer, so check out their website for more information!